The marijuana insurance market is tough to navigate. Most companies write policies that actually exclude cannabis and cannabis related products from coverage! Nothing is more important than family. They are the reason why we do what we do. Our mission is to protect you, your family, your employees, and your business as if they are our own. 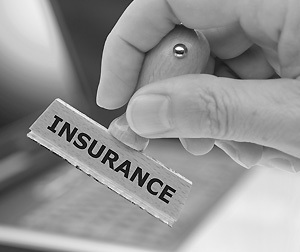 We offer insurance plans for all of your personal and business needs including personal and commercial auto insurance, homeowners insurance, business insurance, and health and financial services products. With over 30 years of experience in the Insurance Market and a vast network of top rated insurance carriers, we can help tailor your policy to fit your specific needs. Our in-depth knowledge and vast experience in this industry enables us to understand our clients’ unique and personal needs. Here at Cryptosure we make continuous efforts to adapt our products and services to meet each persons individual needs. We strive to always keep pace with ever-changing insurance market. Our clients always come first. We believe in providing the highest level of service with integrity. Our more than three decades experience in the insurance industry helps us to analyze all your insurance needs much better than a start-up. Our widely established industry network will get you a fair and prompt settlement of all your claims. Call our experts any time to report a claim or make changes to your existing policies. We’re always there to assist you. We offer you very competitively priced policies and will continue to look for ways to save you money.